I find it so easy to be inspired to cook healthy meals (and snacks) with an old fashioned hard copy cookbook! It’s so relaxing to sit down and flick through the pages with a cup of tea, deciding what you feel like. While you can always find a good recipe for a wholesome meal online, sometimes it’s nice to flick through an actual recipe book. You can spend hours trawling online trying to find something that you feel like when you have no idea what you’re looking for! There are so many cookbooks out there and it can be a little overwhelming when you go into a bookstore and see them all, row upon row! The best cookbooks, I find, are always the ones that conform to a large extent to the kind of diet you consume and while I love everything Nigella Lawson, her recipes often don’t really qualify as healthy. Delicious and homely yes, but more special occasion treats than everyday eating (there’s usually an extra dollop of butter or a hefty serving of cream involved). I also love some of the specialist diet books such as My New Roots by Sarah Britton which is all plant-based seasonal recipes. What I love about this book is that she has the recipes separated by season so that you can look for things that are in season and therefore easy to get hold of! Another great one is Oh She Glows Cookbook by Angela Liddon which is all vegan meals. As my diet is a little bit of everything, it can sometimes be difficult to find recipe books that have a good mix of meat and non-meat based meals which are healthy. I find the bulk of cookbooks tend to be 80% meat meals or else specialist diet (vegan, paleo etc.) and meat free. 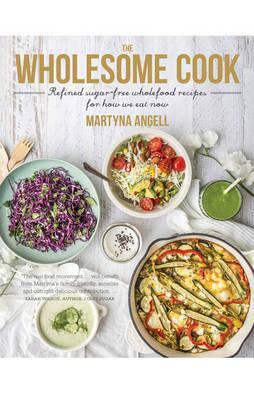 Of course you can just use both types of books and mix them together, but there are some fantastic cookbooks out there that have healthy recipes and promote balanced diets without eliminating any specific food types (except maybe sugar)! What I love about this book is that it doesn’t try to be overly fancy. It has wholesome and delicious meals that are relatively simple to make. There are so many meals that are recognisable, traditional meals and often good comfort foods but with a healthy twist! My favourites are the pumpkin mac n’ cheese, which I accidentally put way too much pasta into but still tasted amazing, and the cauliflower, squash and almond gratin. There is also an amazing range of desserts which you would not believe don’t contain sugar! This is the latest in a series of books by Sarah Wilson entitled I Quit Sugar and it is full of great, easy-to-make recipes. There are a whole pile of recipes that have 4 or less ingredients and pages of easy and healthy packed lunch ideas which are simple but still enticing (not your standard sandwich)! The other great thing about this book is that it has a whole heap of delicious healthy snack ideas that are a lot more interesting that the standard vegetable sticks and hummus (which is delicious, but not everyday)! My favourites are the vegetable “rainbow chips” and popcorn cauliflower, delicious! Also the little Christmas section at the end just made my day when I saw it! Several months on, I still use The Wholesome Cook book ALL the time – I admit, 9 times out of 10 for the pumpkin mac and cheese which is now my favourite healthier version of my favourite comfort food! 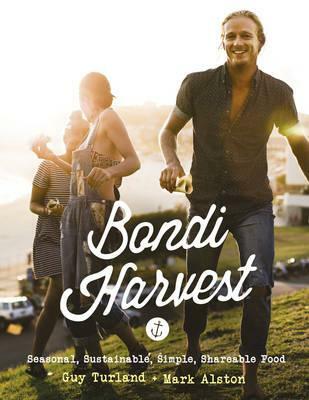 I find the Bondi Harvest book is used most when I’m really in the mood to cook something interesting and have lots of time. 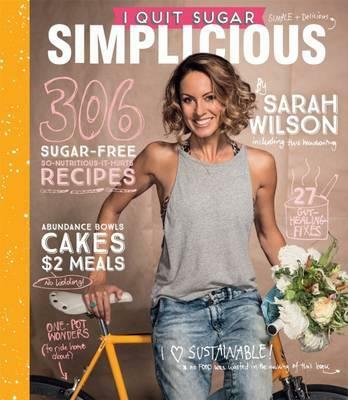 To be honest, I don’t use the I Quit Sugar: Simplicious very often to be honest but I do like that it gives options for using up leftovers and bits in the fridge!